The Love Me Beauty Box was formerly known as Beauteco Box and has re-branded this month. 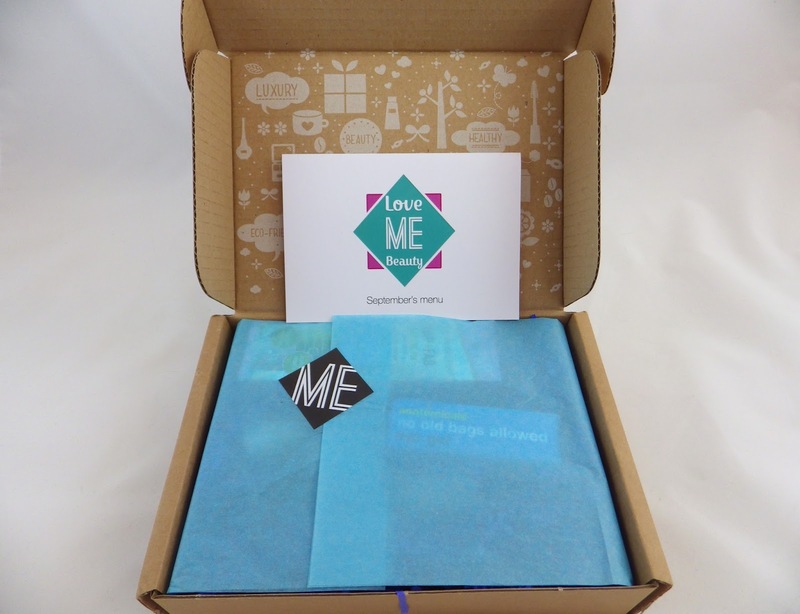 The Managing Director of Love Me Beauty, Oliver Gauci, has stated that this is due to the similarity of the original name with a different business. Besides the name change and consquently an updated website, nothing else has changed. 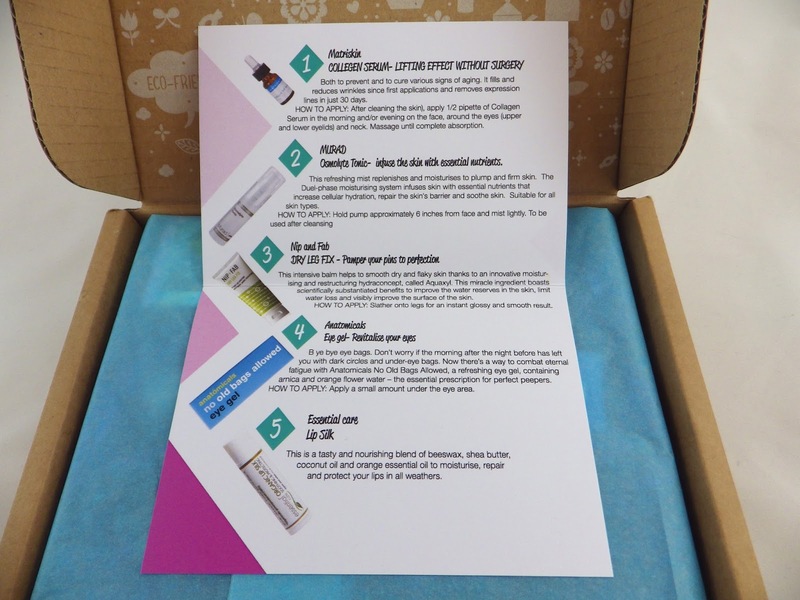 The concept of the beauty box is still the same; every month there are three menu choices to choose from, each containing five products that are a mixture of full size and sample sizes. I am going to share with you the contents of Menu One, which is made up of four full size products and one sample size product. To prevent and cure various signs of aging. It fills and reduces wrinkles from first application and removes expression lines in just 30 days. This refreshing mist replenishes and moisturises to plump and firm skin. Essential nutrients increase cellular hydration, repair the skin's barrier and soothe skin. This intensive balm helps to smooth dry and flaky skin thanks to an innovative moisturising and restructuring hydraconcept, called Aquaxyl. A refreshing eye gel containing arnica and orange flower water – the essential prescription for perfect peepers. This is a tasty and nourishing blend of beeswax, shea butter, coconut oil and orange essential oil to moisturise, repair and protect your lips in all weathers. 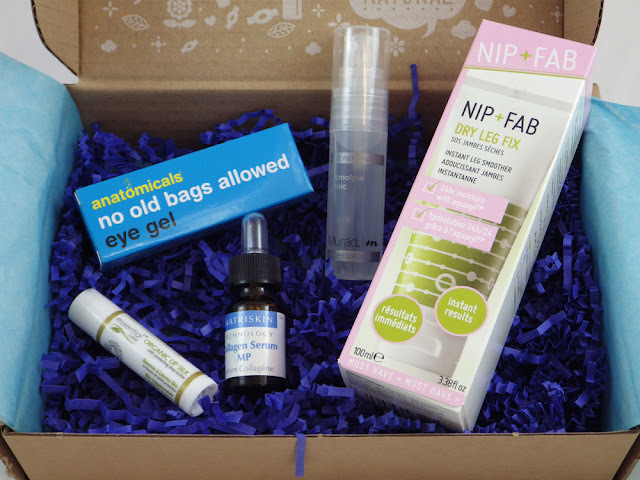 Another fantastic choice of products this month! I haven't tried any of these brands before and they are all products that I will use. So far I've tried the Murad Osmolyte Tonic, which is a lovely, refreshing light mist and seems pretty hydrating. 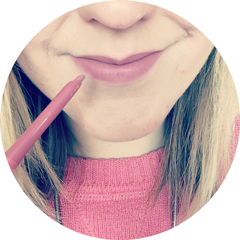 I'm also in love with the Essential Care Lip Silk; it's buttery and moisturising with a deliciously orange taste. In total Menu One is worth a massive £53.39 and costs just £10.00 plus £2.95 postage! The box can be bought individually every month or you can purchase pre-paid subscriptions plans for 3, 6 and 12 months. To check out the new Love Me Beauty website, please click here. P.S. 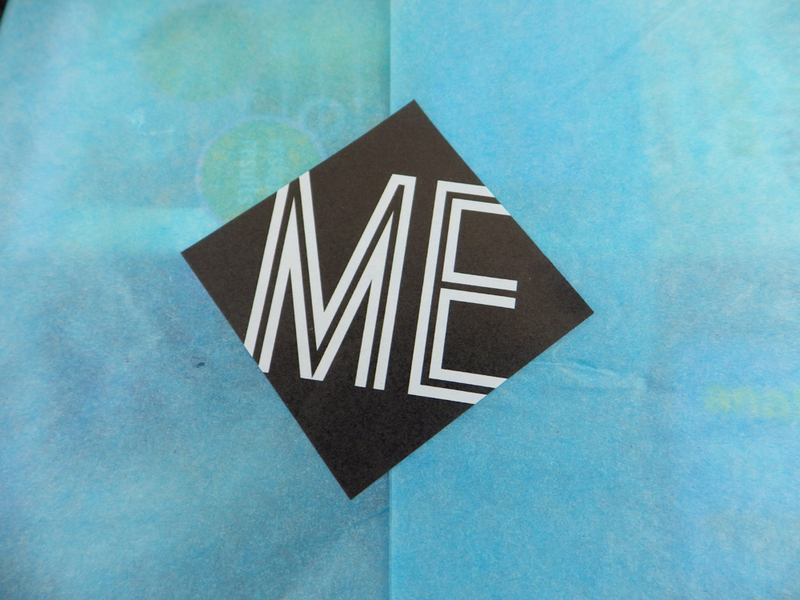 This post contains a PR sample. This does not affect my opinion of my product. This seems likes such a great box, there are so many around these days. whats your fav? ?